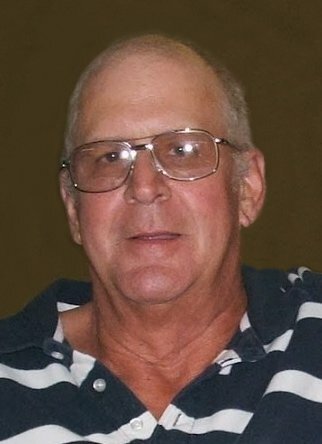 Obituary for Carroll Wayne Moore | McCombs Funeral Home Inc.
Carroll Wayne Moore, 72 of Cape Girardeau passed away Wednesday, Feb. 6, 2019 at his home. He was born April 3, 1946, in Cape Girardeau, son of Truman and Verda Loos Moore of Millersville. He and Mary Gayle Niswonger were married Nov. 12, 1966 in Millersville. Wayne was a 1964 graduate of Jackson High School. He was a member of the Army National Guard from October 1965 thru October 1971. He was a licensed master plumber working at Niswonger Plumbing from 1967 until he went to work for the City of Cape Girardeau as Sewer/Stormwater supervisor in 1990. He retired Jan. 29, 2010. Wayne was a long time member and deacon at Red Star Baptist Church and was very active in the Red Star Food Pantry ministry. Loving survivors include his wife of 52 years, Mary Gayle Moore of Cape Girardeau; a daughter, Carole Jo (Bervil) Hillis of Sikeston Missouri; a son, Joseph T Moore of St. Louis , a brother, Raymond (Laura) Moore of Jackson; a sister, Bonnie Johnston of Cape Girardeau; a sister-in-law, Sue (the late Lonnie) Moore of Millersville; two sisters-in-law, Ruth Weibley of Cape Girardeau and Diane Craft of Scott City; a special nephew, Tommy Lee Best Jr. of Jackson; a special niece, Margie (Gary) Tracy of Pocahontas ; a very special great-niece, Abby Leimer of Cape Girardeau; several nieces; nephews; great-nieces; great-nephews; cousins and friends. He was preceded in death by his parents; his in-laws, Joe and Daisy Niswonger; a brother, Lonnie Moore and two sisters-in-law, Patsy Moreno and Wanda Coomer Newberry. The family suggests memorial contributions to be made to Red Star Food Pantry, 1301 N Main St, Cape Girardeau, MO 63701 or the SEMO Food Bank, PO Box 190, Sikeston MO 63801.